Opportunity Group has researched and reviewed hundreds of business plan templates, talked to bankers, investors and business owners to determine what was most useful to all of them. Based on the business owners feedback, Business Plan BootCamp planning system was developed. 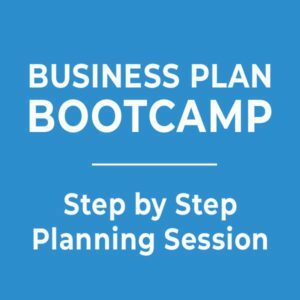 Regardless of whether its a million dollar business or someone who has just one customer, whether the business has been in existence for several years or is just an idea, whether the owner is young or old, Business Plan BootCamp provides a customized plan which allows the owner to speak confidently and knowledgeably about their business when completed.